It’s obvious through my previous posts here and on social media that I’m going through a rough patch. The posts speak of stress, anguish and defeat. The fact is, I’ve been struggling for the past month or so. I suppose I can categorize my life in three ways: Mom life. Work life. Self Care. My issue is finding the balance for all three. It’s so very hard. Whenever one takes significant precedence over others, you suffer. If you don’t take the time to figure out your balance, you suffer. If you can’t find how any of these fit you as a person, you suffer. Therein lies what is the Classic Dilemma of a Being a Working Mom. I post frequently about my work identity and the difficulty of incorporating it into my new life. Sometimes, I don’t have a choice. For the past month, my life revolved around my job. I worked long hours. I worked on the weekend. I didn’t take breaks and I’d miss pumping sessions at work. I began to bumble my way through tasks, because I started feeling less and less confident about my abilities. Questions and honest mistakes would surface and I second guessed my value in the company. I spent more time on my work, hoping somehow to redeem myself from my own perceived failures and shortcomings as an employee. I felt unrelenting pressure to meet deadlines and expectations. I could not understand why this was suddenly so difficult for me. At the end of a long day, I would get home late and hungry, too tired to be with my son who wanted desperately to see and hug me. He was always merely an hour or so away from bedtime and yet, I couldn’t find the energy to be around him. I started stressing again, and my old PPD and PPA tendencies were resurfacing. At one point, I cried during a meeting at work. Another time, I become overwrought with guilt as we discovered my son had developed thrush (he was taken to urgent care). I felt like a failure once again. The roles of a career woman and the motherhood were in opposition of each other. I felt torn in such a way that it felt like I couldn’t succeed in either. Because of this, I lost focus on myself. I hardly had any time for self care. I didn’t sleep well, my meals were not healthy and I struggled to exercise. I didn’t focus on any of my own interests, and I found it hard to even find time to talk to anyone. This past week, I found it extremely hard to even blog – so I abandoned my new hobby altogether. The lack of self care made me feel even more empty and unaccomplished. Late at night, my mind would run through the day, and I would realize that there was still so much to do. Of course, we can’t go on forever like this. These schedules and imbalance take their toll. Last weekend, I found myself falling asleep for hours as soon as I got home. I woke up to pump, and then would go back to sleep until the next day. It happened two days in a row. It was my body’s way of telling me that enough was enough. I don’t know just yet how I will deal with this dilemma. So far, I have just recognized it for what it is, and have brought it up in therapy. It feels like it’s not something that is easily resolved, and that it can go on as our children grow. 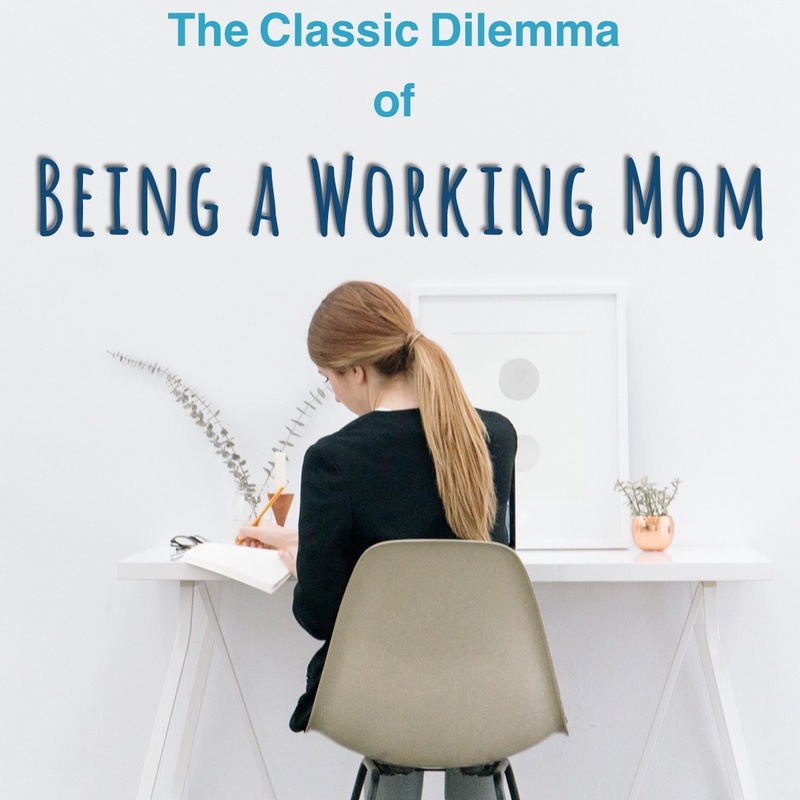 I’m not even sure if anyone has any answers – the fact remains, being a working mom is hard. Finding that balance is difficult. I think the key for myself is to really accept that it’s always going to be a work in progress. There is no perfect balance, as it will change from day to day. For the more experienced working mothers out there – what advice do you have for new mothers like myself? How can we find the time to balance our lives and still feel like we’re doing things right? I admire women like you! You sacrifice a lot – there’s so much on your plate, and you do it alone. You are definitely entitled to some self care! I do not have children, so I cannot imagine having to juggle it all. Many moms seem to work out both, though, so I’m sure you will as well. And don’t forget self care. Even a small walk in solitude can do wonders! Yes, a small walk does help! Yes agree. Any down time at this point is a godsend! I haven’t experienced this, so no wise advice yet, but I will be there in a few months. Hopefully your company is understanding, and hopefully you have some help at home. If you have any flexibility in either of those arenas, take advantage of it and don’t feel bad for a second. You’re absolutely right. Sometimes I forget I have those resources! I think I’m at least lucky at my job in that they do understand! I see this with lots of my friends who went back to work. They feel guilty all the time of either neglecting their kids or work. It’s hard to find balance. That’s tough, Mama. Hope you find the balance you need soon so you can have some rest and peace! Thank you! You’re totally right. It is so important to find balance or yes you will suffer in all aspects! My kids are now 7 &12, I work full time but they go to school so that is a big help. You just have to take time and figure out what works best for you. There is no perfect!